Bring the almond milk, oat flakes, buckwheat and hemp seeds to the boil, simmer for approx. 5 mins., stirring occasionally. Remove the pan from the heat, allow to absorb for 2-3 mins. Stir in the strawberries, maple syrup and lemon juice. 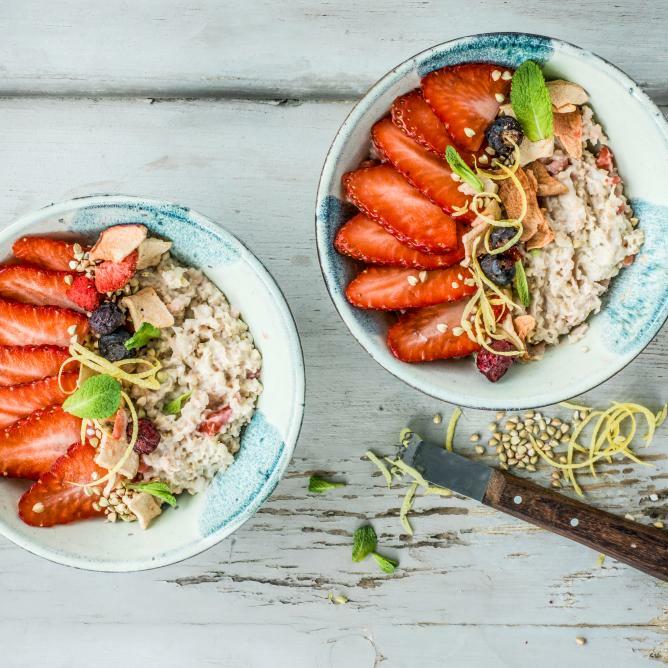 Top the porridge with the strawberries, buckwheat, freeze-dried fruit, mint and reserved lemon zest.